A spokesman for the Russian control body said that the body has issued some recommendations for the parents in the country in relation to the game "Spinner", which has spread significantly recently. According to the spokesman, "the experts in the Russian control body saw that the rates of aggressive behavior have risen among children and adolescents in the country recently, so the Commission is working with several educational institutions in Russia to monitor and study the dangers of games that are spread among members of this age group recently, Including Spinner. " "Due to Spinner's recent spreading, the Russian Supervisory Board advises parents who want to buy games for their children from well-known places and shops that only sell quality products. Poor quality toys can contain dangerous chemicals that are harmful to children's health." 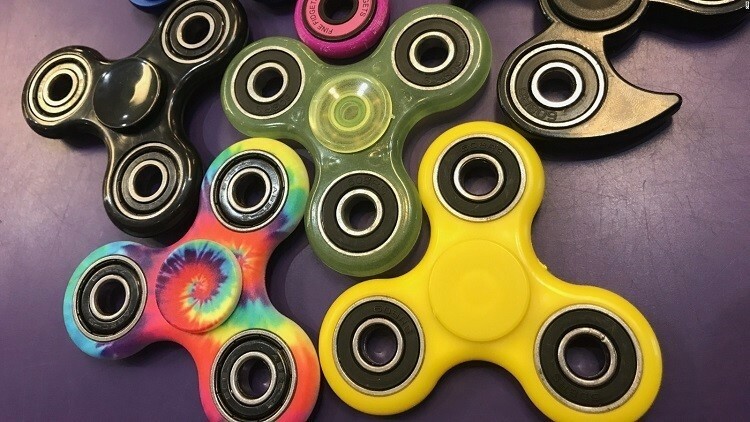 "Some Spinner games have small batteries similar to those used in clocks, and small parts can easily be separated, so parents should not buy such toys for children under the age of six for fear of swallowing those parts," experts said. Spinner, which has emerged recently, has gained wide popularity in various countries of the world, where millions of pieces were sold in recent months.